Ranked as one of the least appealing buildings in America is in Richmond Va. 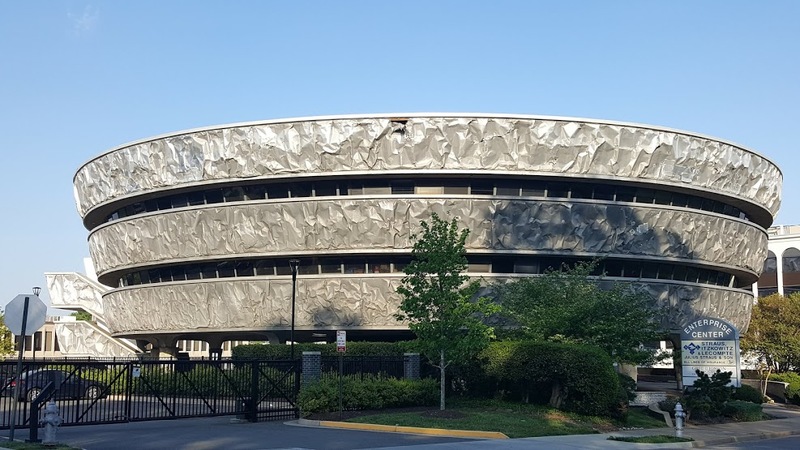 Commissioned to design a headquarters location for The Markel Corporation in 1962, Jamgochian’s vision was a round, shiny, mammoth of a building. A potato may have been the original spark of inspiration for the design, but in the 60s, futuristic space aesthetic was a common trend in architecture as well as just about everything else. Calling it “The Potato Building” is snarky fun, but probably not completely warranted.